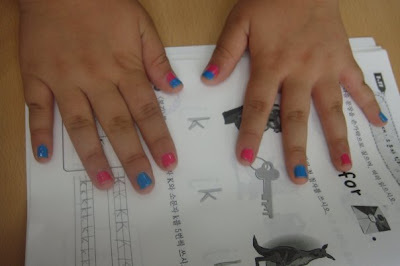 Check out my 4th Grader's manicure! Funny too since my daughter did the same thing. @ Nicki ~ I think all little girls go through these phases! How old is your daughter?